Since the year 2000, there have been two running backs win the Heisman Trophy, three if one counts Reggie Bush (he may have had it taken away, but he did initially win it). Every other Heisman winner was a quarterback. Unquestionably, the quarterback position has become the premier one in college football. As overlooked as running backs may be, the adage that teams have to establish the run to be successful is still valid. One has to look no further than how Dexter Williams helped transform the Notre Dame offense last season when he came off suspension. Recently a pair of top rated Class of 2020 running backs visited South Bend and Irish Sports Daily spoke with both of them following their visits. What have you been missing by not being a member of Irish Sports Daily? It’s always a good sign when a highly coveted player makes the time to squeeze in a visit between his other two planned visits. That’s exactly what Chris Tyree‍, RB, 5-9, 175, Thomas Dale High School, Chester, VA did with the Irish. He trekked to South Bend last December and has an official visit scheduled for June, but decided to work yet a third visit into his busy schedule. Tyree spent quite a bit of time with Jalen Elliott and Troy Pride, but really spent time with the entire team. Tyree met with new Notre Dame running backs coach Lance Taylor for the first time face to face. Tyree was on campus with another top running back recruit, Tirek Murphy, Jr. and the two talked about what it would be like to play together. Clearly, they are complementary type players and Tyree admitted that it would be an interesting situation. Tyree plans to pursue a degree in Kinesiology and looked more closely at how that degree would work in the real world. Tyree plans to return to Notre Dame on June 21st for his official visit. On this trip he came with his head coach, Kevin Tucker. He’ll have his family with him on his official visit but besides that he plans to look at the same things. He also has an official visit set for Oklahoma on April 13th and plans to take one to Alabama though he doesn’t yet have that date set. Notre Dame, though, has continued to keep themselves high on his list. 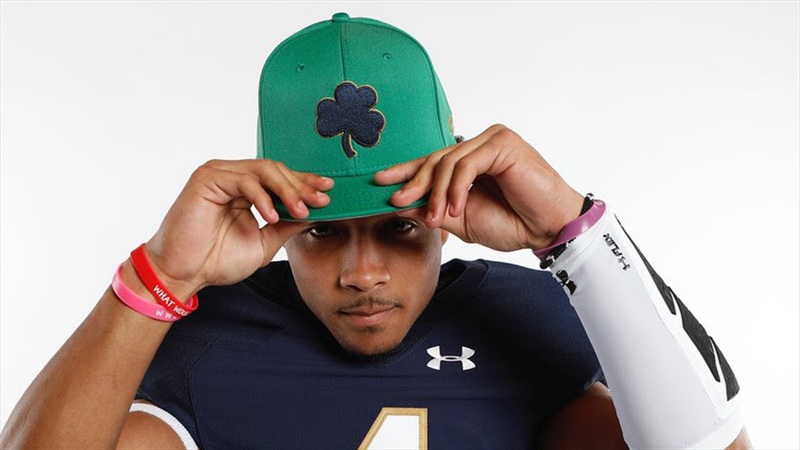 Tirek Murphy Jr.‍, RB, 6-0, 220, Christ the King High School, Middle Village, NY, as was previously mentioned, visited Notre Dame along with Tyree. Unlike Tyree, this was Murphy, Jr.’s first visit to the Irish campus and it could not have gone better. 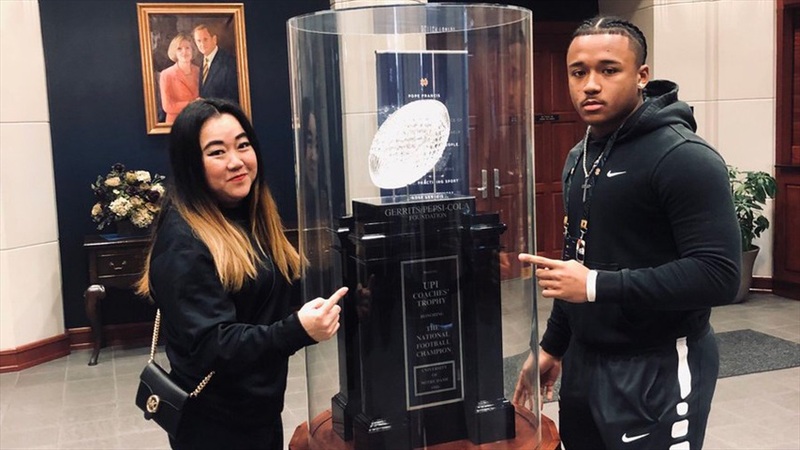 Murphy, Jr.’s mom came with him on the unofficial visit and she seemed to enjoy it even more than her son. Like Tyree, Murphy, Jr. got to spend time with much of the Irish team. The four-star running back said that the Irish players were definitely the kind of guys that he could see himself fitting in with. Murphy was not surprised by the academics at Notre Dame. Murphy, Jr. went out to dinner with running backs coach Lance Taylor on Saturday night and then went over X’s and O’s with him on Sunday. Just as he did with Tyree, Taylor expressed his desire to pair the two, kind of a thunder and lightning duo. Murphy, Jr. got the opportunity to meet Notre Dame head coach Brian Kelly. In addition to Notre Dame, Murphy, Jr. holds scholarship offers from Michigan, Oregon, LSU, Duke, Miami, Tennessee, Texas A&M, Boston College, Rutgers and many more. Still, the Irish appear to be in a solid position. He has already decided that he will take an official visit to Notre Dame. Notre Dame couldn’t have made a stronger impression on Murphy, Jr. for his first ever visit.